Tip Top Foodservice, the specialist foodservice bakery division of George Weston Foods, has launched a new product for the Australian Foodservice sector, Garlic Slices. This launch coincides with a complete rebrand for the Australian Garlic Bread (AGB) range. According to international trends, garlic bread is an increasingly popular menu item in the UK and US, with Australian dining trends expected to follow suit. 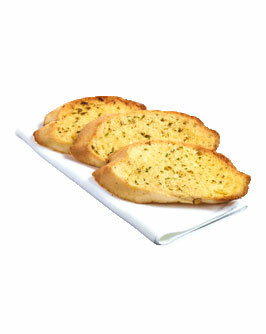 The new AGB Garlic Slices are catering for an increase in demand for more premium, convenient options. The diagonal cut slices take 4-5 minutes to cook and come packaged in convenient trays so venues are able to prepare only what is required. “The new AGB Garlic Slices are particularly good for hotels, restaurants, caterers and cafes that want a premium garlic bread option. They’re not just your classic sub that you get from a pizza place,” explained Darren O’Brien, National Account Manager, Tip Top Foodservice. The AGB Garlic Slices herald a new era for AGB which has been producing garlic bread in Australia for countless years. The refreshed brand caters for venues looking for restaurant quality bread without the price tag. “AGB has been well known as the garlic bread that Australians love for almost two decades. The new logo reflects AGB’s move in to premium convenience in 2018 with the launch of Garlic Slices and we’re excited to work with venues to see how they can incorporate it in to their new year menus,” said Tim Lucas, Marketing Manager at Tip Top Foodservice. With six months frozen shelf life, the slices come in small cartons of 144 slices (separated into four trays for easy baking) that can be stored easily in the freezer and baked on demand for restaurant quality just-baked garlic bread. See the full AGB Range here and contact your local distributor to place an order, or request a free sample.